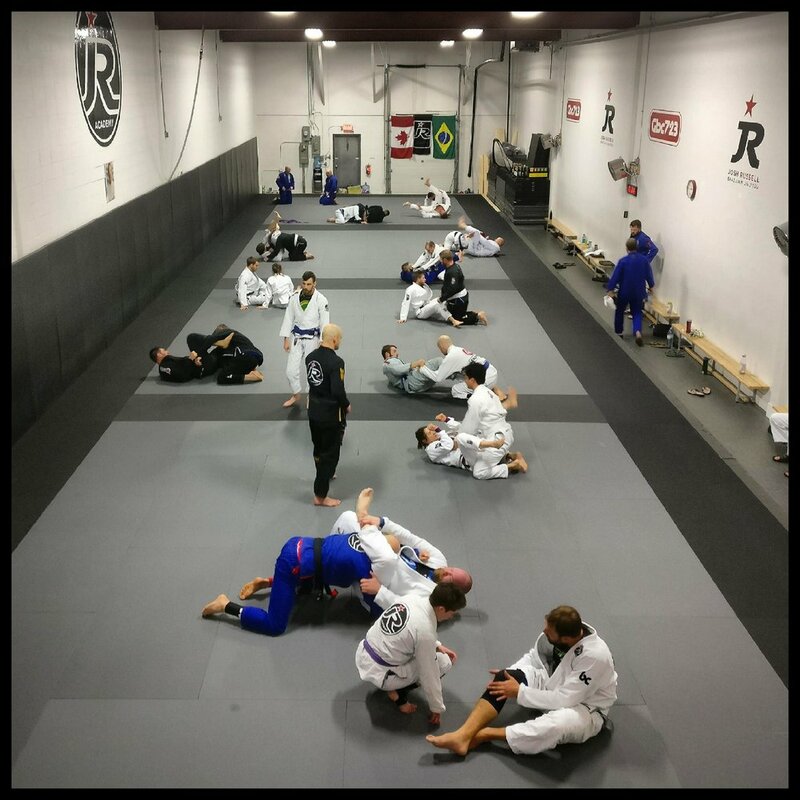 The typical class begins with a 15 minute dynamic warm up where the students practice basic BJJ movements such as shoulder rolls, hip escapes and breakfalls followed by a series of stretches. The class is then divided into three groups. We introduce BJJ to students in a manner that is fun and engaging. A strong emphasis is placed in the development of motor skills and body movements. Students begin to learn more basic movements and techniques. The typical class involves 2-3 techniques followed by positional sparring where the students begin in specified positions/situations. The class ends with one or two rounds of rolling. Students learn fundamental movements and techniques. A stronger emphasis is placed on the details. The typical class involves 2-3 techniques followed by positional sparring where the students begin in specified positions/situations. The class ends with one or two rounds of rolling. These classes are intended for kids who have the desire to compete. Intensity in these classes is significantly higher and the goal is to condition the students' mind and body in preparation for the stresses and demands that are associated with competing in a combat sport. Because of the more demanding nature of these classes, that requires an increased level of focus, permission from the coaching staff is required prior to being able to attend. These classes focus on the development and improvement of the fundamental concepts, movements and techniques necessary to build a solid foundation for Brazilian Jiu Jitsu. The typical class begins with a 15 min warm up that involves dynamic movements and stretches followed by instruction and drilling 2-3 techniques. The objective of these classes are to build upon the foundation developed in the fundamental classes with more complex movements and techniques. The typical class begins with a 15 minute warm up followed by instruction and drilling two to three techniques. This is followed by specific training, in which students spar while beginning in specific positions. The class ends with rounds of live sparring/rolling. This is a much more intense class and is restricted to students who have earned a second stripe on their white belt. .We understand that it can be intimidating for some women to learn and train in a class in which the majority in attendance are men. The women-only class was established to provide women with a less intimidating and more inviting atmosphere to train in. Training consists of simulated matches with referee, points, and scoring. The objective is to allow participants to work on their individual strategies and prepare themself both mentally and physically for the stresses of competition. These sessions are more intense and are open to all members with the desire to compete. These sessions are open to all members to use the mat space at their leisure. Students can choose to drill techniques as well as spar (roll). Private lessons are a great way to supplement your esisting training by working one on one with one of our instructors. Whether your desire is to troubleshoot problematic areas of your game or you wish to learn specialized techniques, a private lesson can be of great benefit to you. Private lessons are currently offered by Prof. Josh Russell, Prof. BJ Baldonado and Coach Alec Klonowska; and they can be contacted directly for availability and rates.